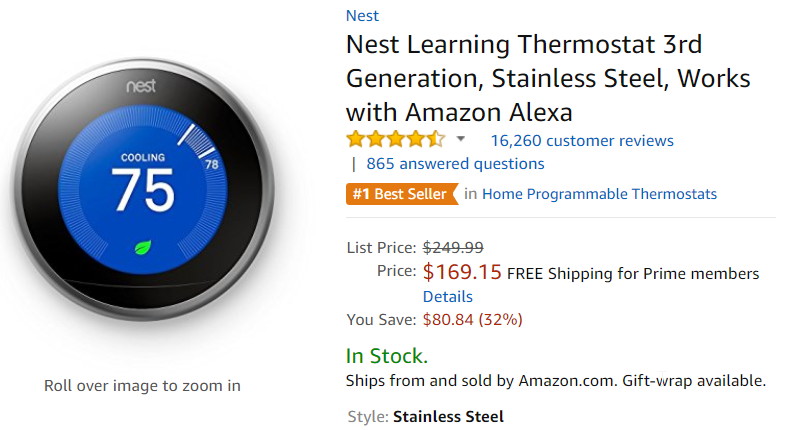 Most of Nest's smart home devices went on sale for Black Friday, but today Amazon is making several Nest products even cheaper. The Nest Cam is down to a mere $117.99, the Cam Outdoor drops to $124.99, and the 3rd gen Thermostat is $169. Last week, this camera was selling for $139 and the Cam Outdoor for $149 at most retailers. 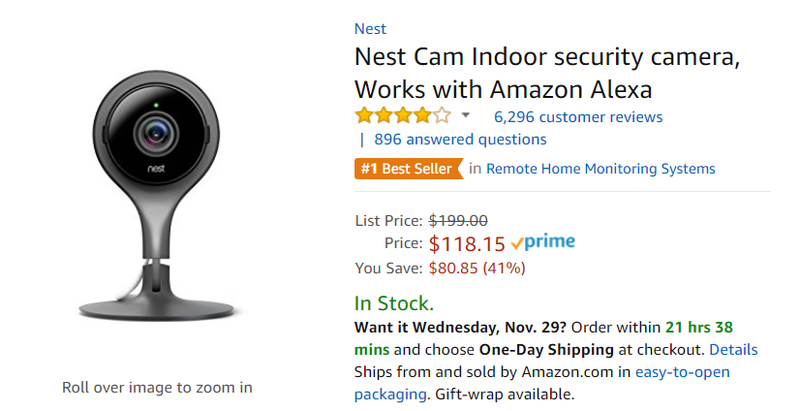 The Nest indoor cam was already $60 off the retail price, but now it's $117.99. That's about $81 off retail. 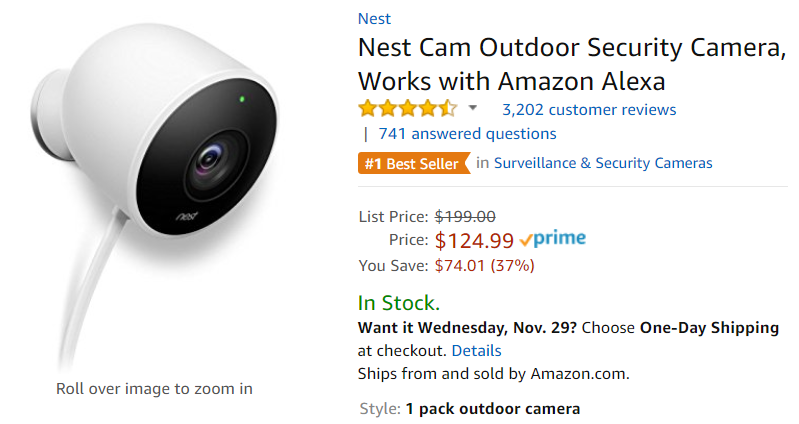 The Cam Outdoor is selling for $124.99, which is $74 off. Nest's cameras are excellent, but they're expensive compared to a lot of the competition and the subscription plans are less generous. Additionally, Nest's free service doesn't include any online video storage. It's easier to justify the Nest cameras at these prices, even with the expensive subscription plan. The 3rd gen Nest Thermostat doesn't need a monthly plan, and it's getting a similarly generous discount. The non-sale price is $250, but it's just $169.15 right now (stainless steel only). That's roughly $80 off. This price was available at Costco last week (membership required), but you can get it on Amazon now as well. All three devices work with Google Assistant and Alexa, and they work together in the Nest app. They're all in-stock with free Prime shipping.